News sheet #1 from the White Box woodland understorey restoration project. This project is developing practical methods to help landholders and managers to restore degraded woodlands. To view all blogs on this project, select the Projects/Restore tab above. This blog contains the first newsletter for our restoration project on endangered White Box woodlands, from February 2009. A pdf of the newsletter can also be downloaded. G rassy White Box woodlands are one of Australia’s most endangered ecosystems. Most of the ecosystem has been cleared for agriculture and surviving remnants are small and often highly degraded. We urgently need to develop practical ways to allow land holders and managers to improve the quality of degraded understoreys. Improvements may come from simple changes to common farm management activities, such as grazing strategies, as well as more formal restoration works. At the moment, little information exists to enable managers to confidently improve understoreys – which is why this project was started. Suzanne Prober, Ian Lunt and Ian Cole currently lead the project, with plans to add new students to the project in the future. Dr Suzanne Prober of CSIRO Sustainable Ecosystems has worked on woodland conservation and management for over 15 years. 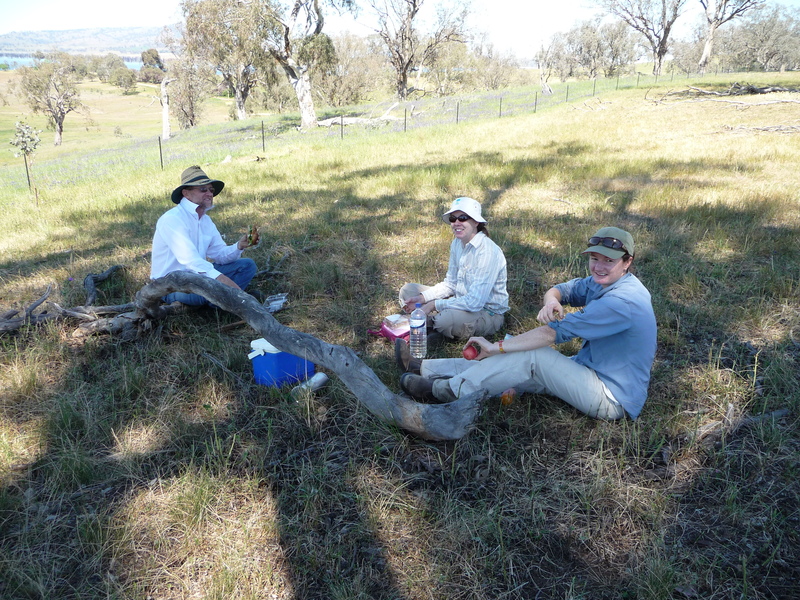 Like Suzanne, Associate Professor Ian Lunt from Charles Sturt University in Albury has a long history of working on native grasslands and woodlands. Ian Cole has worked for many years on reintroducing native grasses to degraded areas. Ian works with DECC at Cowra NSW, and has joined the project as a PhD student supported by DECC and the Future Farm Industries CRC. Ian runs much of the day to day work on the study plots. As well as this core team, a number of casual assistants have helped us to set up the plots, particularly CSU PhD students Kylie Eklom and Alison Skinner. 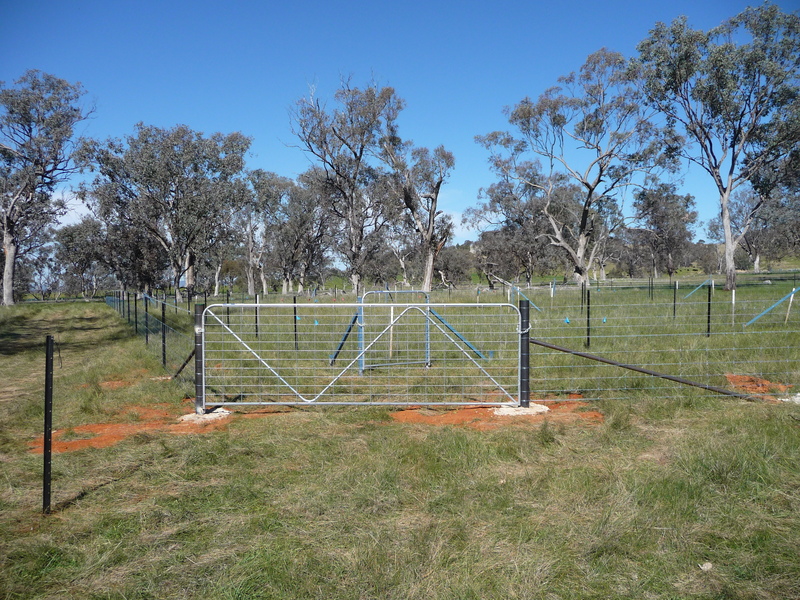 Importantly, Allan Scammell from Hume RLPB has organised livestock for the grazing trials, and nearby landholders have grazed the plots – without this important assistance the project would not be able to continue. The experiment has been set up on two Travelling Stock Reserves (TSRs) north of Albury: Cumberoona TSR over-looking Lake Hume, south of Bowna, and Bakes TSR west of Gerogery. The two sites were selected with Allan Scammell of Hume RLPB, and contain different understoreys. Cumberoona TSR has been heavily grazed in the past and has a weedy understorey with lots of Paterson’s Curse and a low density of native Spear grasses, Austrostipa spp. By contrast, Bakes TSR has a more intact understorey dominated by native Spear-grasses. Both areas would have been dominated by Kangaroo-grass (Themeda triandra) and Tussock-grass (Poa species) before European settlement. Current condition is mostly due to historical grazing levels over the last 150 years. The different understoreys at the two sites enable us to compare the effects of the same management treatments on different understorey types. This will provide a greater degree of generality to the results, and allow managers to extend the results to a range of sites with more confidence. What treatments are we comparing? 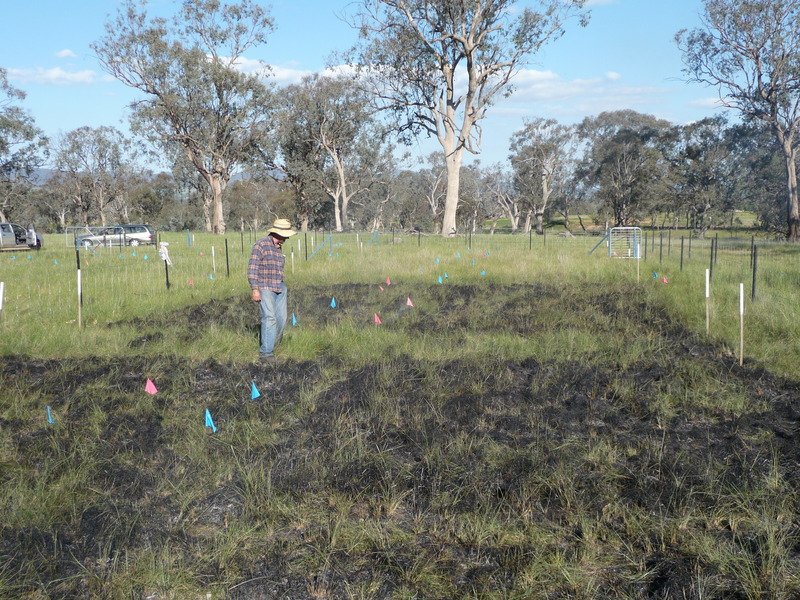 The trials include three main treatments in different combinations: burning and pulse grazing in spring and nutrient reduction. Additionally we have sown seed of a range of native grasses into the plots, to encourage establishment of dominant native grasses. These treatments are based on earlier experiments we did near Young, where we found that weed control was critical for understorey restoration. Burning and grazing in spring aim to reduce seed production by exotic annuals, and nutrient reduction prevents weeds from growing as vigorously. We’ll describe the nutrient reduction techniques in a later news sheet. Progress in 2008 was (perhaps inevitably) held up by delays in finalising contracts between major parties. Nevertheless we managed to set up all of the plots and the initial treatments by spring, as we had hoped. Ian Cole’s non-stop on-ground work was instrumental in getting everything set up in time. Last year, contractors erected the fences, plots were burnt, sugar was spread to reduce nutrients, native grass seed was sown, and the initial vegetation was surveyed. Like everyone else, we hope the next big step will be heaps of rain! So far this year Albury has had just 13 mm of rain compared to an average of 94 mm. If we get good autumn rains, we’ll continue the treatments and monitor the plots during 2009. If the rains don’t come, we may need to re-seed the plots with native grasses, and perhaps set up an artificial irrigation trial on part of the plots. Fingers crossed! We were interviewed for local TV last October as we were setting up the plots, which was a great opportunity to tell a wide audience about endangered woodlands and the need for restoration. It’s still too early to have any findings from the new plots at this stage. However we’ve written a number of popular summaries based on our previous experiments (see list below). Please contact us if you’d like to receive a copy of these. As the effects of our experiment become more noticeable we will hold field days on the sites so managers can see how the different treatments affected the understorey. We’ll continue to send out this news sheet to interested people as the project progresses. This exciting project is run by CSIRO and Charles Sturt University with financial support from the NSW Environmental Trust and Murray CMA. The Future Farm Industries CRC and NSW Department of Environment & Climate Change have enabled a PhD student to work on the project. Hume Rural Lands Protection Board and neighbouring graziers manage the livestock, while Sugar Australia has donated sugar to the project. We’re most grateful for everyone’s enthusiastic contributions! The project has been funded for three years and we hope to build on this fantastic support to extend the trials in the future. Prober SM & Thiele KR (2005) Restoring Australia’s temperate grasslands and grassy woodlands: integrating function and diversity. Ecological Management & Restoration 6, 16-27. Prober SM & Lunt ID (2008) Kangaroo Grass: a keystone species for restoring weed-invaded temperate grassy woodlands. Australasian Plant Conservation 17, 22-23. 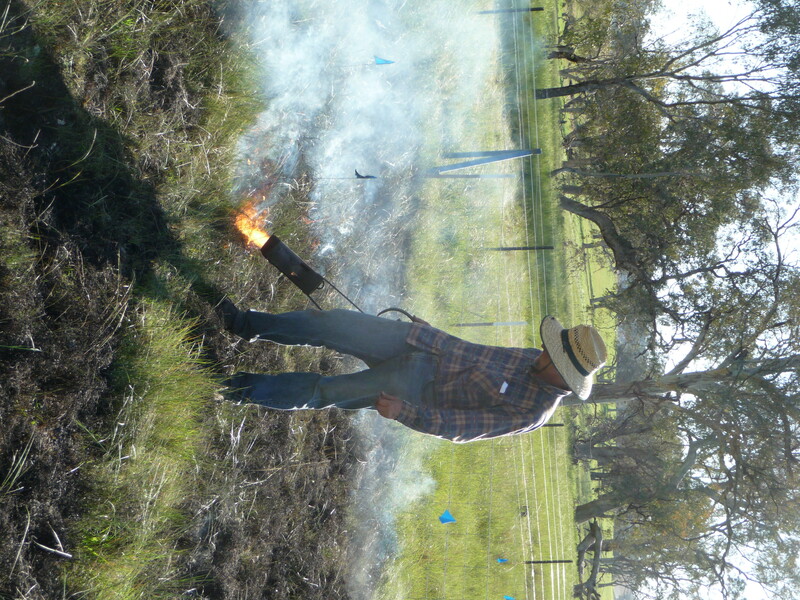 Prober SM & Lunt ID (2009) Restoring weed-invaded woodlands: the importance of Kangaroo Grass. Woodland Wanderings, in press.